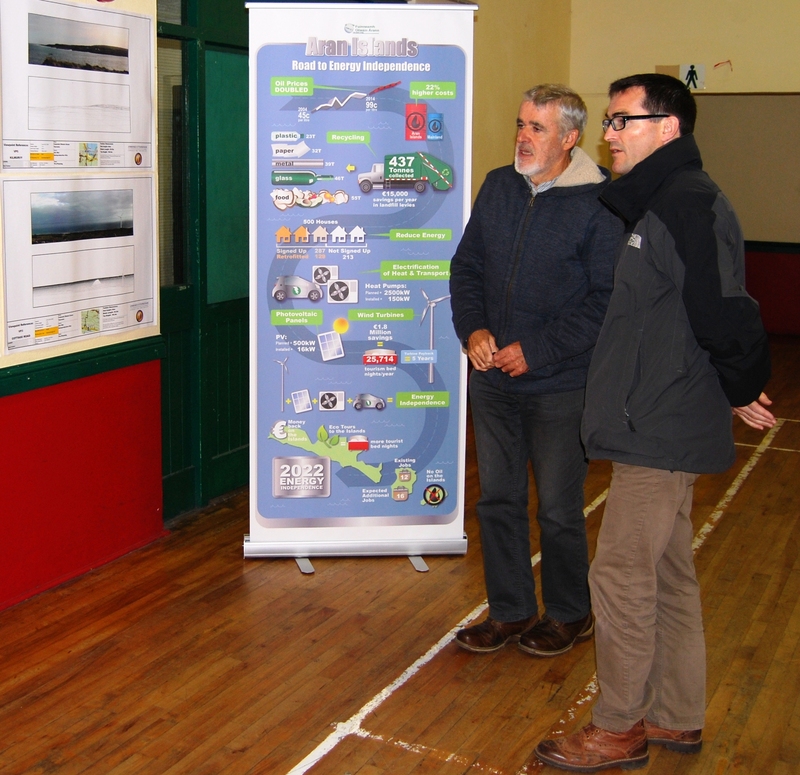 Energy Co-op Ireland’s work to get community initiatives put to the top of the agenda of the new energy policy consultation process continues. As part of its work demonstrating the value of local energy co-operatives in achieving a successful national transition to a low carbon economy, ECI arranged a visit for Ken Spratt, Assistant Secretary for Energy at DCENR, to view the extensive works carried out by Fuinneamh with the support of the SEAI on the Aran Islands. Fuinneamh’s drive, innovative stance, and professional approach to maximizing the benefits afforded by transition opportunities were as usual very much in evidence. Mr Spratt appeared to be very impressed and interested in learning about the role that energy co-operatives have to play in Ireland’s energy future. As we have said here before, ECI now notices a real willingness at all levels in DCENR to adopt a positive stance towards community initiatives in the energy sector. We look forward to contributing positively to the discussion around the proposed White Paper in the coming weeks. As well as this, in what appears to be a significant change in public mood, we have noticed a rapid increase in the number of inquiries to establish new co-operatives in recent months. Some of these (mainly those in the West of the Country) are now at an advanced stage and official announcements of their establishment are immanent. We are also finding, however, that suburban communities are beginning to see the opportunities to be gained by co-operative organization as well, and we are now developing proposals which will enable these groups to coalesce around practical achievable energy projects. 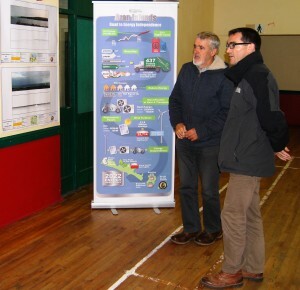 This entry was posted in Featured News and tagged Aran Islands, co-operatives, community, dcenr, low carbon, renewable energy, sustainability, transition. Bookmark the permalink.